Smart Getting A Galaxy S Variant This June? We spotted this billboard while on our way Southbound on NLEX around the Bocaue area. 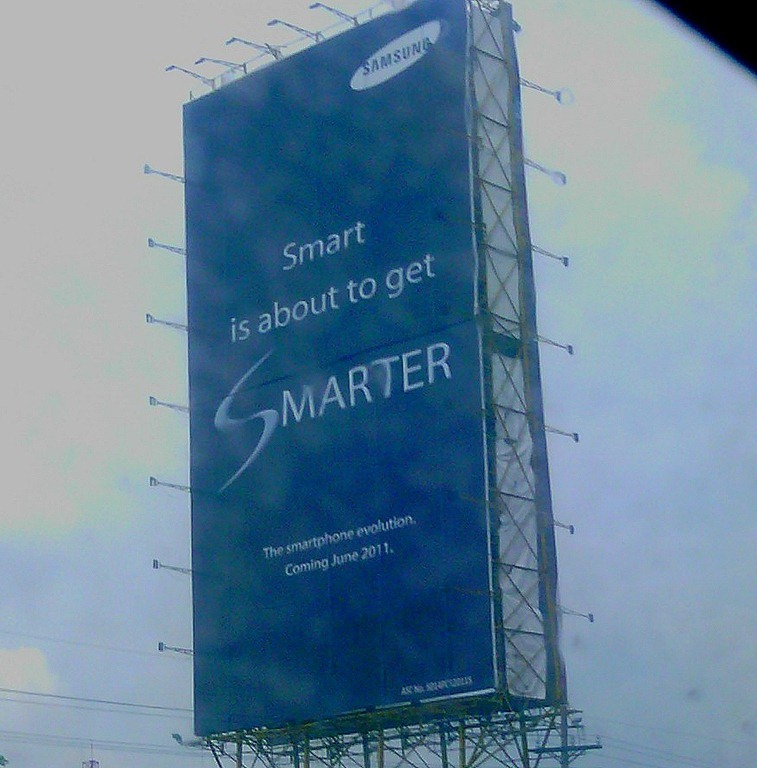 The sign reads, “Smart is about to get SMARTER,” with a small caption on the bottom saying, “The smartphone evolution Coming June 2011.” There’s a Samsung logo at the top, and the familiar Galaxy S font is used on ‘Smarter’. This seems pretty easy to decipher if you ask us: Smart is going to have a Samsung Galaxy S variant in its lineup for June 2011. Could it be a Galaxy S II or an S variant? That we can’t tell. 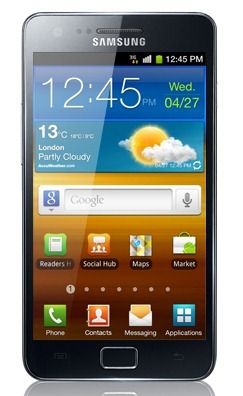 The Galaxy S phones have traditionally been a Globe exclusive device – including the latest Galaxy S II dual-core smartphone. With this, Smart is finally getting a piece of the Galaxy S pie. 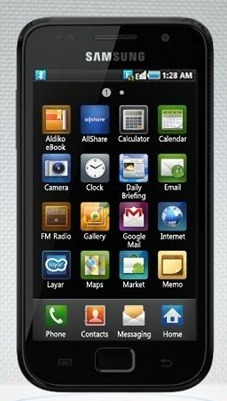 While the newest and greatest version is definitely the Galaxy S II, there’s a lot of other S variants around – including the original S (Super AMOLED), SL (Super LCD), and S Giorgio Armani (Luxury Edition), S Plus (1.4Ghz Single-core), and even a newer Galaxy S II (with NFC chip). Which of these phones is Smart going to release? We don’t know yet. But once we find out, we’ll let you know! Update: While we think the wording is entirely misleading, we now believe this ad is just to promote the Galaxy S II being launched this month. Thanks to commenter b, for pointing that out. This is definitely a samsung ad, and is in no way related to smart communications. You are reading too much into it. You could be right there. Though if I were Samsung, I’d rethink this ad completely.